This is a free image resizing utility done in VB.Net for the .NET platform, complete with source. Designed to be simple and easy to use, allows you to enlarge or reduce an images size quickly and easily. 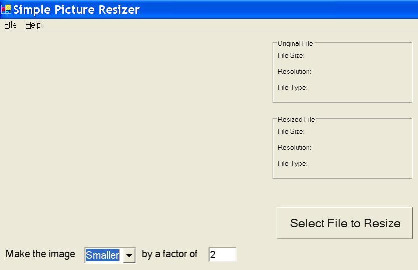 Resize a variety of popular image file formats.